Strawberries can be used in many different ways. They may be eaten whole, sliced or crushed. Strawberries are an excellent addition to fruit salads, ice cream, and sorbets. 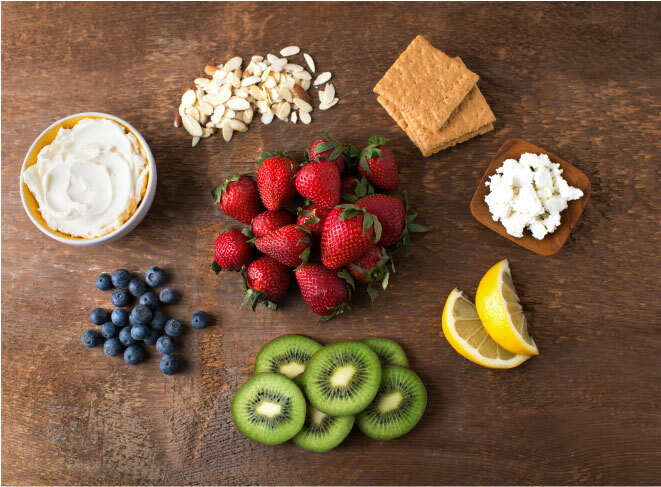 Strawberries are also used to decorate appetizers and cheese platters, or even in a beautiful strawberry cobb salad. Why not try making a savoury strawberry recipe with our strawberry glazed pork chops and spinach salad, a satisfying spring supper to serve to friends. To really wow your dinner guests, try your hand at making a strawberry fan or chocolate strawberry tuxedo. For a simple but delicious treat, wash and hull strawberries, scoop out some of the flesh and fill with mascarpone cheese mixed with a little lemon zest. 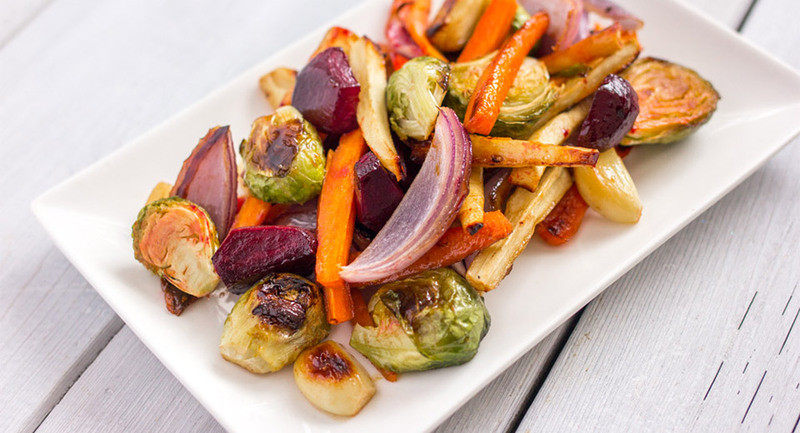 This makes an impressive appetizer or dessert. Strawberries are perfect in jam or jelly, and taste great with fresh basil and aged balsamic vinegar. One of Produce Made Simple’s favourite contributors, Amy Bronee is a preserving expert. Try her strawberry jam recipes; either with or without pectin. Take the classic shortcake dessert and give it a twist in this strawberry shortcakes with sour cream. Families with little girls may be familiar with the children’s book, Pinkalicious and the Pink Drink, where the main character tries to make pink lemonade. Make sure you don’t follow her recipe! 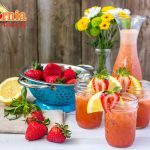 Try this delicious Strawberry Basil Lemonade instead. Citrus halibut with strawberry relish is an elegant, simple and fresh meal you can make on the grill. 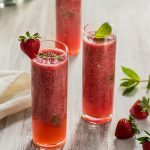 Kick back with some of these strawberry watermelon mojitos that will hit the sweet spot without being overloaded with sugar. 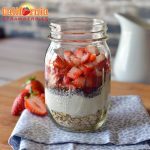 Overnight oats are the perfect solution for starting your day healthy when your mornings are too busy to cook breakfast. Quick, simple and tasty is exactly what these yummy individual strawberry cheesecakes are…not to mention perfect for entertaining. You can even try experimenting with different types of cookies. I love chocolate covered digestive cookies crumbled at the bottom! When they are ripe and very sweet, they can be eaten raw with yogurt or ice cream, with fresh cream, or sprinkled with icing sugar. They are also delicious dipped in chocolate fondue. When strawberries are overly ripe they can be used in pies, cookies, mousses, soufflés, flans, smoothies, puddings, and cakes.